How to learn the most in demand operating system in the world without spending thousands of dollars or leaving the comfort of your own home. Do you think that you need to spend thousands of dollars on a Linux training course to learn the world’s most in demand operating system? You might even believe that you need to take a week or more out of your busy schedule and rearrange your life around someone else’s training calendar. But what if I told you there was a better way. What if you could learn Linux at your own pace, in the comfort of your own home, and not have to rearrange your schedule or your life? If fact, a traditional week long intensive training class is not the best approach. Drinking from a fire hose for five days straight is not a strategy for success. But taking each new concept, digesting it, and fully understanding it before trying to build on it, is. Also, when you take a traditional class you don’t have long-term access to the instructor or course materials. You can’t ask your instructor to come to your home or office and reteach a portion of the class. You can’t even ask them questions after the class is over. But with me and this course, you can do just that. I also want to let you know that I understand learning a new skill can be a challenge. 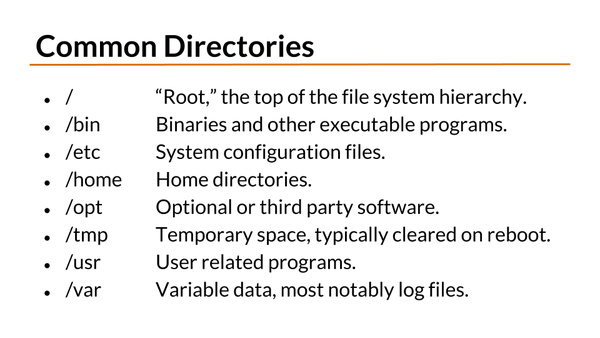 I’ve seen so many people set out to learn Linux only to throw up their hands in frustration and give up. They get overwhelmed by all the possible places to start. And when they do pick a path, they quickly discover too many concepts, commands, and nuances that they don’t fully grasp and that aren’t explained in easy to understand terms. This kind of experience is frustrating and leaves you with more questions than answers. That’s why I’ve come up with a logical and systematic approach that truly starts at the beginning. I’ll help you build a strong foundation that will be with you for the long haul. I’ll point out the bits of information you need to focus on and skip over the ones you don’t. I’ll show you how to connect the dots so that you not only understand the details, but see the bigger picture as well. Does this approach sound good to you? 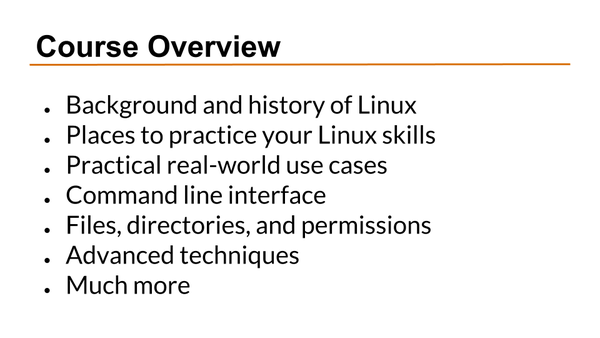 Are you ready to start learning Linux today? If so, I can’t wait to be your teacher and mentor. See you inside the course! Bye now! All of those great lessons are covered in 30 videos. Not only that, but you get access to OVER 30 supplemental PDF’s. Some are reference materials like cheat sheets, others are step-by-step instructions, and others are diagrams that can help you understand the concepts. 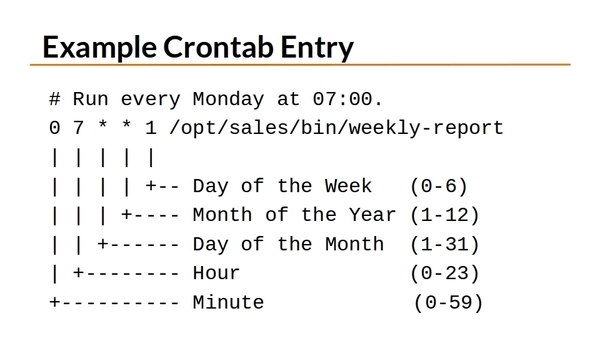 This is a great introduction to the command line environment. The examples given are very simple, clear and consistent throughout. –Kevin E.
This is definitely for beginners like me. I’ve already used some of the methods I learned and I’m going to continue learning! –Charles L.
Clear and straightforward — I found the basic commands and general explanations that I was looking for. –Ariel O. If you are for any reason not satisfied with these online Linux tutorials, just let me know within 30 days and I will refund 100% of your money. 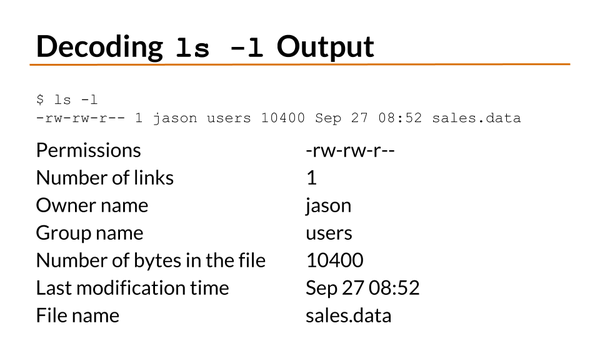 –Jason Cannon, Instructor. As an added bonus for buying the video training course, you’ll receive a step-by-step checklist and video that teaches you how to install WordPress on an Ubuntu Linux system. 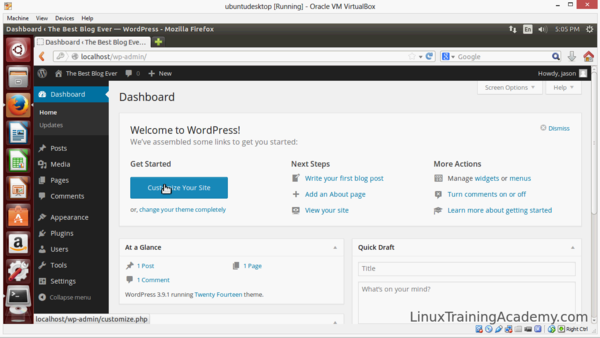 First, you’ll learn what software is required for WordPress to run on a Linux system. Next, you’ll be given the exact commands to type that install all the required software and WordPress. You’ll learn how to install a web server, how to install a database server, how to create database users, and how to configure WordPress. Before you know it, you’ll have a fully functioning blog on your hands. 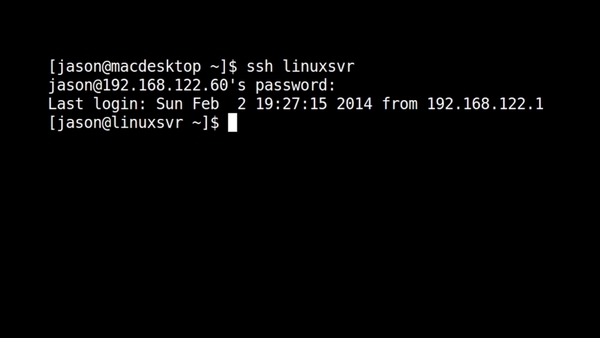 This is a great way to put your new-found Linux skills to good use. Totally optional, but very cool: If you want to host your blog on the internet on your very own installation of Linux, I’ll show you were you can get hosting for just $5 a month. If you don’t have dedicated hardware to run Linux, that’s totally fine. 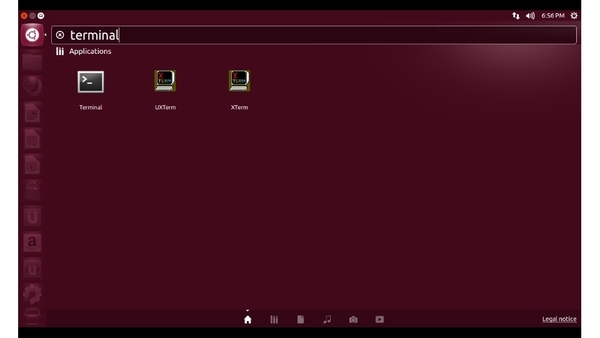 There’s no need to buy another computer or wipe your current one just so you can learn how to use Linux. 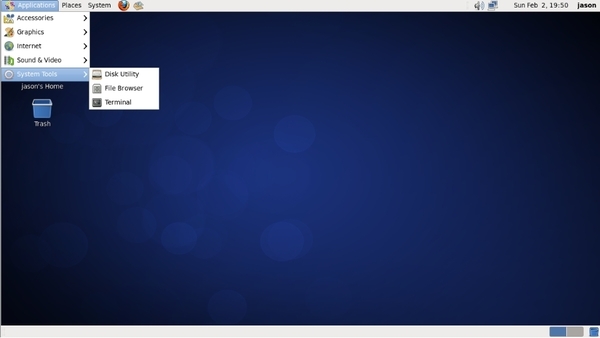 Using this bonus video, you will learn how to install virtualization software so you can run Linux on your current system without having to delete your current operating system or lose any of your precious data. Don’t worry — the virtualization software works on both Windows and Mac computers. 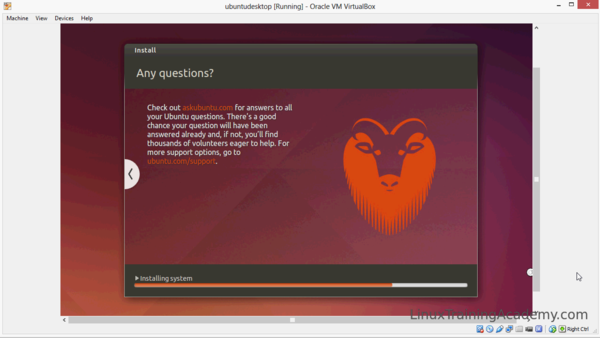 You’ll also be guided step-by-step through an installation of Ubuntu. Along the way you’ll learn the differences between installing Linux in a virtual environment and a physical environment. That way you’ll be able to install Linux anywhere you want.